Corfu Town is the most famous settlement on the island, with impressive sightseeing and nice view to the sea. However, Corfu has many smaller villages in the inland and along the coastline. Some of these villages have developed in tourism, while others remain totally untouched. 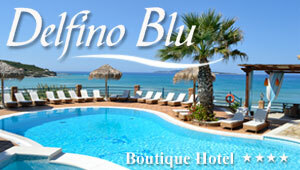 After you have seen the best Corfu villages, you can also find information about the best beaches. Want to visit these beautiful villages? Book your car rental with Greeka.com! Discover our guide to 22 Corfu villages. They are all presented with detailed description, photos and their location on a map of Corfu. For the most popular ones, we also provide information about sightseeing in the area, a selection of hotels and reviews. Description: Corfu Town, the capital of the island, is one of the most beautiful and elegant towns in Greece. It distinguishes for its Venetian architecture and the two fortresses that guard the city. Description: Kassiopi is a small fishing village dominated by a Roman fortress. Along the port, there are some delicious fish taverns. Picturesque beaches surround Kassiopi and the region is popular with diving. Description: Lakones is a traditional village just above the beach resort of Paleokastritsa and close to Angelokastro Castle. Description: Τhe village of Palia Perithia (Old Perithia) is one of the most unique villages of Corfu Island. Located on the slopes of Mount Pantokrator, this village seems to remain unchanged over the course of centuries. Description: Agios Matheos is mountainous village that gets its income mostly of agriculture. Totally untouched by tourism, it is located on the slopes of a hill and provides gorgeous view to the sea. Description: The small village of Pelekas is quite busy in summer. Due to its central location, it is used as a starting point for excursions around the island. Pelekas is said to have the best sunset on Corfu. Description: In winter, Benitses is a calm fishing village but in summer it gets one of the most popular tourist resorts close to Corfu Town. Description: Lefkimi is the second largest village and the second most important port of the island. It distinguishes for its traditional architecture and the beautiful surroundings. Description: Located on the way to the northern part of the island, this small attractive village offers fantastic views to the surrounding area. Description: Sidari is one of the most popular tourist resorts of Corfu and it is close to Canal d' Amour, a cape of strange geological formation.